The Wrap - The Best Adapted Screenplay category is always the more crowded and competitive of the Oscar writing categories, but this year it feels as if the contenders should be judged the same way diving competitions are: with one score for how artful the film is, the other for the degree of difficulty. "I think I might have been the eighth writer that had been hired to do an adaptation of 'On the Road,'" Jose Rivera told TheWrap. But unlike the first seven -- which included Francis Ford Coppola and his son Roman, as well as Michael Herr, Barry Gifford and Russell Banks -- Rivera's version actually made it to the screen, in a film directed by Walter Salles and starring Garrett Hedlund, Kristen Stewart and Sam Riley. "It's was a tough one, because 'On the Road' is a novel full of digressions and subplots and secondary characters, including some very one-dimensional women characters," said Rivera, a playwright whose previous film was Salles' "The Motorcycle Diaries." "But I had a couple of advantages. One was I wasn't one of those people whose life was changed by the book. So I wasn't in thrall to the book, and I wasn't treating it like sacred territory. In a way, I treated it almost like a standard buddy film about two men on the road, as opposed to kind of worshipping the icons that were the beat writers." 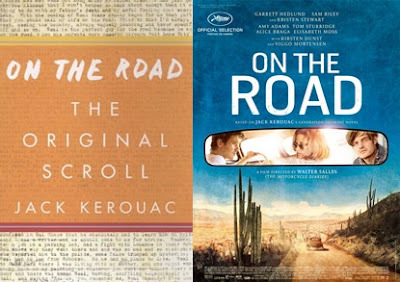 Rivera and Salles made a point of adapting the original, "scroll version" of "On the Road," which he said is "far edgier and sexier" than the bowdlerized version that was initially published. But he still had to find a movie-friendly structure in a book that really didn't have one—so he focused on a section in which the main characters, Dean Moriarty and Sal Paradise, spend some debauched time south of the border. "Everything accelerated in that section,” he told TheWrap. “They go crazier, and it's also the biggest crisis of their friendship. So when I read the Mexico section I thought, that needs to be the third act, and we'll just build the other two acts around that." Still, he admitted, it took about 40 drafts to structure the screenplay—and even after the film's Cannes debut, Salles went back to re-edit the film and remove a number of scenes, many of which were improvisations that had not been in Rivera's script.